Even during the winter, landscaping in South Jersey is still important. While you might not be hiring Royal Landscapes to cut the grass, to aerate your lawn, or to prune a hedge, you’ll want a reputable landscaping company from South Jersey when the snowfall begins. Snow cleaning services in South Jersey are in high demand after the first snowstorm, so get ahead of Mother Nature and contactRoyal Landscapes, a snow removal company in South Jersey, before winter begins. Snow plowing, snow removal, and salt or sand application are three popular winter services requested by home and business owners for landscaping in South Jersey. Contacting us and planning ahead will save you the money and the trouble of purchasing a snow blower, salt, and sand because we provide all the necessary equipment and materials. By contacting a landscaping company in South Jersey before the first major snowstorm, you can prearrange which areas of your commercial property or yard you want cleared, so you don’t have to stay awake at night during the storm or wake up early to survey the situation. You can rest easily knowing you will be able to leave your house and open your business without a hassle. Plus, as an experienced landscaping company in South Jersey, we will ensure your plants, hardscapes, and gardens incur minimal damage, if any, from storms. Don’t wait until right before the storm. If you need winter services, call Royal Landscapes early because we and other landscaping companies in South Jersey become busy once winter begins. 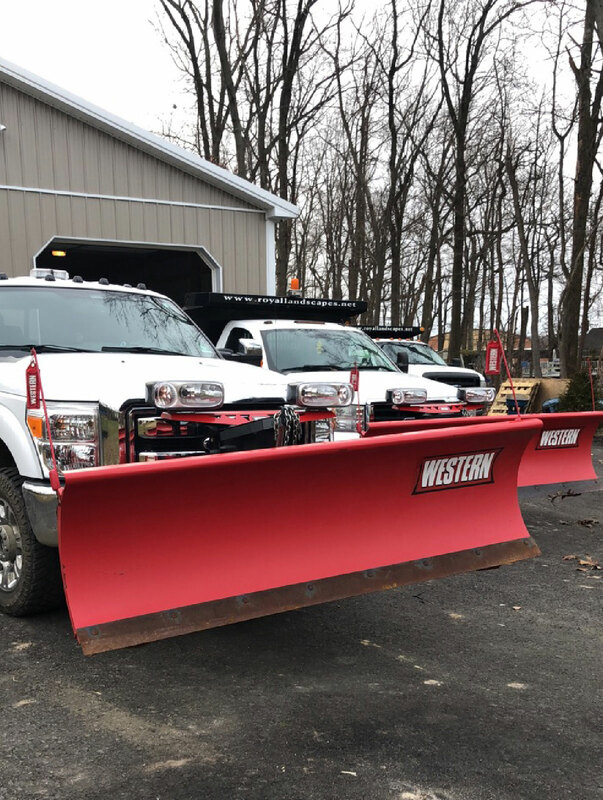 Many people wait until the first storm forecast to call, only to find contractors are too busy or lacking time to properly assess their needs and to plan how to best remove snow without causing damage. Don’t be one of those people. Plan before the storm happens. You’ll have the peace of mind that you planned before the next snow storm arrives.